Design with love, authenticity and strategy. Tailored websites to attract your most desired customer. You will walk away with a cutting edge website you can control. Beautiful design, infused with love, that radiates with your energy & aligns with your dream client or customer. Intuitive, easy to navigate layouts that clearly communicate your service or product. Visuals with strategy that convert viewers into buyers, to reach your business goals. 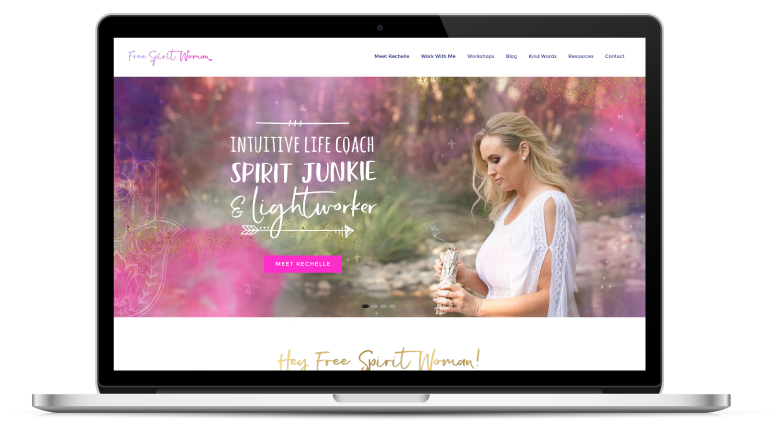 My custom website design is perfect for you if you have a heart centred business, helping people suffer less and smile more. Maybe you are a coach, therapist, teacher or creative… you are doing AMAZING work, changing lives and doing your part for world peace. And quite frankly, you need a rad, sparkly website that communicates how awesome your services are, so people can instantly understand your offering, resonate with your message and know that you are the right person to help them. Keep scrolling for my offering, practical details, prices and testimonials. These are the fundamental elements of my website design service. If you need extras, I can tailor your requirements and create exactly what you want. This is where the magic happens. I will create unique page layout designs, to best present your information, for 8 unique pages. Additional pages can be added. Blog with the capability of presenting a vlog or podcast category, including blog categories and side bar elements to suit your offering. Stay connected to your readers with a regular newsletter. Options include a polite pop-up, home page form, footer form, blog form – whatever works best for your business. We connect on Skype at the beginning of the project, to align our minds and talk through the plan. We jump on again after your site goes live, to learn how to manage your new site. I build websites using Divi on WordPress, which gives us access to some amazing plugins. I only use quality plugins and keep these to a minimum, to ensure max security and speediness for your visitors. I take care of your hosting and domain name requirements. Your website will be on a super fast, private & dedicated VPS server, managed by a tech genius (my husband) with regular backups. Tailored forms for your potential clients to get in touch, capturing the information you need. We can also add additional, more detailed forms for service inquiries. Good old Google! I will set you up with Analytics to monitor your site performance. We can install a Google Map if your business runs from one location. Your website will be fully connected to your social media channels, with buttons and on-page feeds. Awesome to help your audience know, like & trust you! I can not recommend Happi Fran enough! I was really impressed with the level of quality, love and attention to detail she provided from the first meeting right through to the finished product. Fran really took the time to understand my business and took me with her on every step of the design process. It felt like working with a favourite work colleague for a few weeks – it really was a pleasure working with her. I could not be more pleased with the finished product. 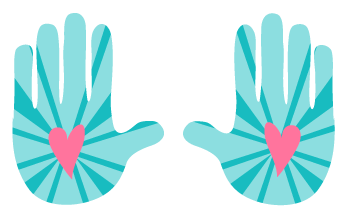 Thank you SO much Fran, your beautiful design work has changed my business for the better. I work with a small number of website clients per year, so I can offer the attention and presence required to create a beautiful website. 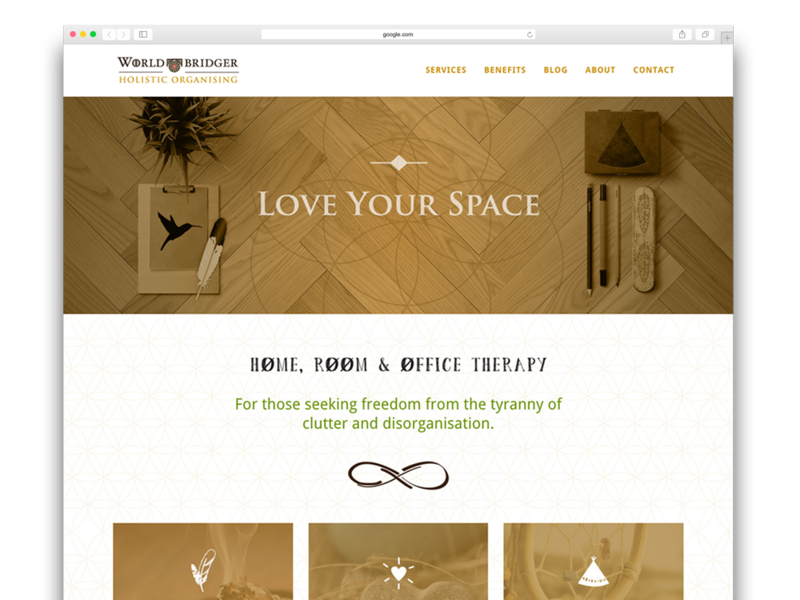 If you would like me to help you create a radiant website design for your business, please get in touch. I’m so excited to hear about your business! Can I add extra pages / features? You sure can! We want your website to be as unique as the service you are offering, so it’s important that your website offers the exact pages & features that you require. Please view the list of optional extras I offer here. Do you help me create the content? Although I’m not a copywriter, I have a good understanding of effective website content. To help you create your content, I have created a practical guide called the Website Planning Guide, which offers tips on what kind of content to include and how to write your pages strategically. I also recommend working with a copywriter, to help you communicate your value to potential clients. What is the process of creating the website and how long will it take? The process will take approximately 6 – 8 weeks for the foundation package, then another 2 weeks if you also opt for ecommerce. I have detailed the process on this page. Who retains the design copyright? After we’ve finished the project, you will have sole copyright over the work we’ve done. Please get in touch if you have any questions, or would like to book a project in. Would you like 30 free illustrations to dress up your website? 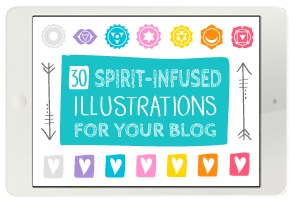 Stay in touch & get some fun illustrations to use! Yay - you have successfully subscribed!